The Tunnel of Darkness. It sounds terrible and, in some ways, it certainly is an uncomfortable place to be. What is the Tunnel of Darkness? With major initiatives that require significant time (12+ months) to implement, there comes a time when you are so far into the project you can’t realistically turn back without a lot of brow raising. However, with so much more to accomplish, you aren’t sure the investment is still worth it. That, my friend, is the point in time when you are in the Tunnel of Darkness. 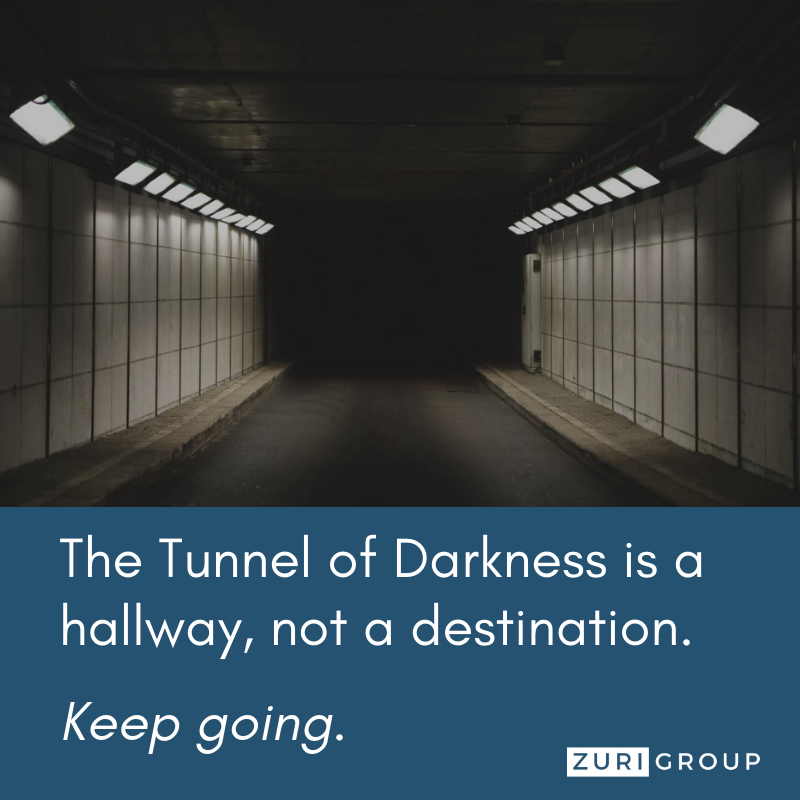 There’s no light at either end of the tunnel and you’re unsure if you are even making the right decision by pushing forward. I can say, with experienced confidence, that 99% of the time, moving forward is the right decision. When I lead large, complex initiatives, I discuss this inevitable point in the project at the onset of the engagement. Some look for ways to avoid the Tunnel, while others are confident their project and project team is different and won’t encounter the Tunnel at all. Whether you’re dreading it or are overly optimistic that you can avoid it, the best thing we can do is to take time in the beginning to prepare for it. Your project governance documents allow you to document the vision, purpose and goals of your project as well as define a communication plan and identify project resources to help you reach your goals. Putting this on paper and having a formal signing party before the official kick-off event helps establish a mutual understanding of why you are embarking upon this implementation together. It also allows you to agree upon how you plan to accomplish your goals. When there are roadblocks throughout the project, you are able to reference these documents to remind the team of the purpose, gauge the current level of success and also reset expectations if you get off course. When you surround yourself with smart people whom you trust and you have adequately prepared for your engagement, the point in time where the Tunnel is darkest won’t last long. Invest the time and energy up front, and throughout the project, to get to know your project team, to understand their preferred communication and motivation strategies, and maybe even a few personal things about them. Set aside time for team building activities and offer feedback opportunities so team members feel valued. I hope these tips will allow your team to hang on until that light at the end of the Tunnel is visible and you power through together to launch your initiative. 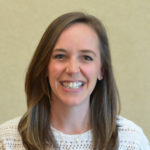 Karen Collins is the VP of Client Success here at Zuri Group and is a certified Project Management Professional by the Project Management Institute. She has a proven track record in bringing a sense of organization, quality and formalized process to complex, multi-tiered projects. Could your team use some help getting through the Tunnel?